This year Everyday Scholé is taking an in-depth practical look at the eight essential principles of classical education. This month we are focusing on wonder and curiosity. 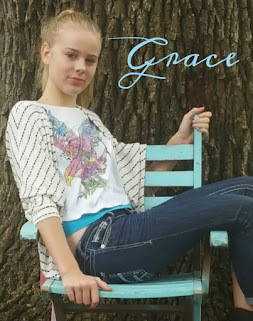 You can check out the previous posts in this series as well: Charlotte Mason and Classical Combined, Slow and Steady inYour Homeschool, Multum non Multa Exhibited in a Charlotte Mason Homeschool, and Practical Ways to Use Repetition to Memorize. Very often I hear other homeschool moms make a comment similar to this, “Well, we got off on a rabbit trail today and didn’t finish our actual work. Now we’re behind and I feel like we wasted a day.” Even if I don’t make a comment like this, I definitely think it! Anytime we stop to pursue something that sparks our interest or imagination, my default train of thought is failure. I’ve failed at accomplishment that day. I’ve dropped the ball on learning. I’ve let the children get away with something I shouldn’t have. 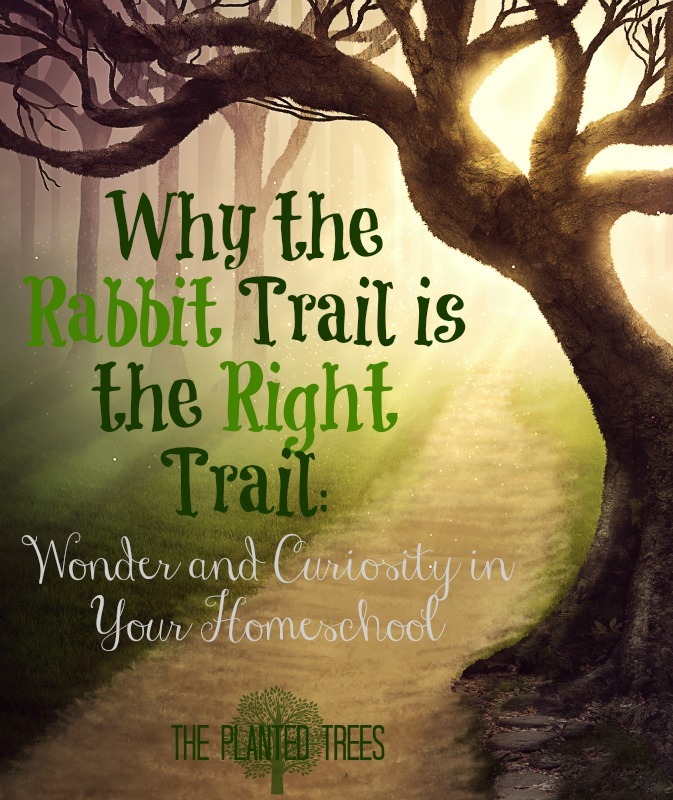 After listening to Dr. Perrin’s talk about wonder and curiosity earlier this month, I realized that sometimes what we call the rabbit trail is actually the trail on which we’re meant to be. Children are naturally born with an inquisitive spirit and a sense of awe about the world. Unfortunately most of that is drained or forced out of them in the typical school setting where time, curriculum, and testing limitations rule the classroom. 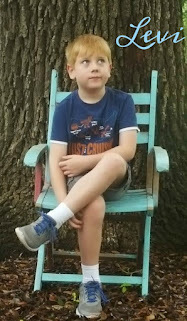 Too many times homeschoolers follow this same trajectory of killing wonder and curiosity in our children, not purposefully, but because we feel the pressure to keep up and achieve. However, as Dr. Perrin points out, the current school system is not creating students in the true meaning of the word. The original word is studium and means zeal, diligent, striving, and eager. Those words are not ones I would use to describe most children in school today. They do not seem zealous or eager to learn in the least! 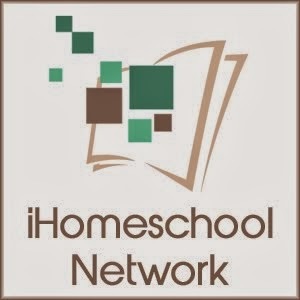 Unfortunately many times our homeschools become more like the traditional school system and wonder and curiosity are squeezed out of the way. When a rabbit trail comes along suddenly in our school day, it usually is because something has captured a child’s wonder or their curiosity has been aroused about a particular bit of information. The learning that follows as you wind among the trees of ideas, over the brook of discovery, and step carefully along the path that other true students have trod leads to a day where you have focused solely on reveling in true education. Don’t do the disservice of dismissing these days as a waste or a loss. These are the days that you have taught your children the value of a true education: that following a path of wonder and curiosity is what true scholars, inventors, authors, artists, and world shapers have done since the beginning of time. 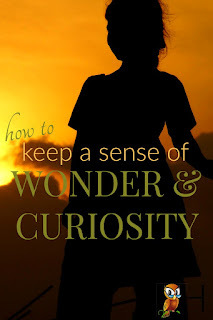 So how do we become better about incorporating wonder and curiosity into our school days? Plan for it. One of the best things I implemented this school year is having free afternoons (on the days when we’re home in the afternoons that is!). Once our official school time is over, around lunch or a little after, the kids have a couple of hours to do nothing but pursue their own interests and studies. Sometimes they continue with work we started before lunch, or they get lost in library books we checked out that week or they simply play. 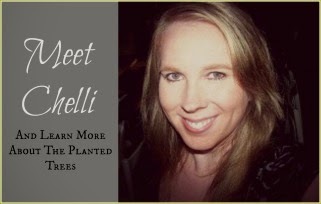 I have been guilty every year of over-scheduling our days, weeks, and academics, and I wanted to purposefully create a time in our day for exploration, wonder, and curiosity. Strew books, games, and movies. Every week when we go to the library, I grab some books (usually non-fiction) and movies (usually documentaries) that look interesting or are about something we’ve recently experienced or seen. I keep all of these resources in an easily accessible cabinet in the living room for the kids to enjoy during our afternoon time or any other time they wish. For example, we recently went on a tour through a cave. The kids were fascinated so even though we aren’t technically studying caves right now, I checked out lots of books about caves, animals that live in caves, a documentary about caves, and a travel video about Carlsbad Caverns. Nature study. So many times, nature study is dismissed even by people who love it as an extra or something to get to if we find the time. However, nature study is the original God-given source for wonder and curiosity in not only children, but adults throughout time as well. Teaching your children to be observers of nature and ask questions about nature is the easiest and most hands-on way to feed their natural inquisitiveness. 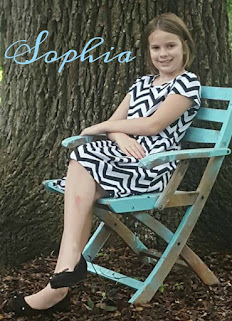 For the past six months or so, I’ve made nature study an important part of our week and a subject that each of my girls studies on their own a couple of times a week. I’ve been amazed at how much science we’re actually learning through nothing more than awakening wonder and curiosity about the natural world. Of course, the best way to inspire your children is to be someone who is curious and finds wonder in things as well. Once they realize that learning is not a onetime endeavor, but a lifelong pursuit, they will be more apt to hold onto what they already possess: a desire to know more about everything. 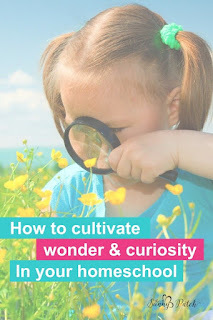 How do you inspire wonder and curiosity in your homeschool? Back when my library still had cassette tapes we used to go raid them every other week! Of course, we made the transition to raiding the classical music CDs when the library started transitioning. Wow Amazing Tips. Write more posts like this.